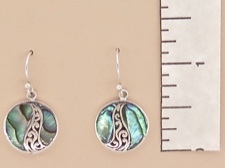 These dime size earrings have pieces of inlaid abalone shell surrounding an ornate sterling intersecting wave. 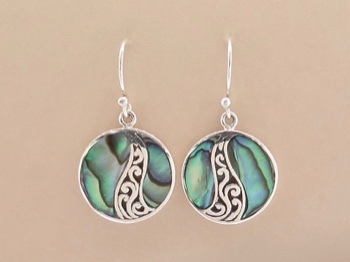 The gracefully curving pieces give these light weight earrings an appealing yin yang design. 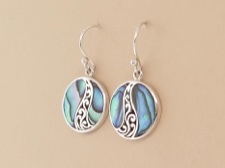 Set in sterling silver with sterling earwires.